Karen wanted students from the local alternative school to become involved with Rainbow Riders, knowing these students possess great potential. She was also aware of the vital role the horses can have in bringing out this potential in the students. When asked about the PASS program, she responds with, "My feeling is they are kind of the forgotten group and they have huge potential, but in order to touch base with that potential there has to be some outside interaction." She invites a number of students out to Rainbow Riders in order to see them grow and develop not only as students but also as individuals of the Monmouth community. 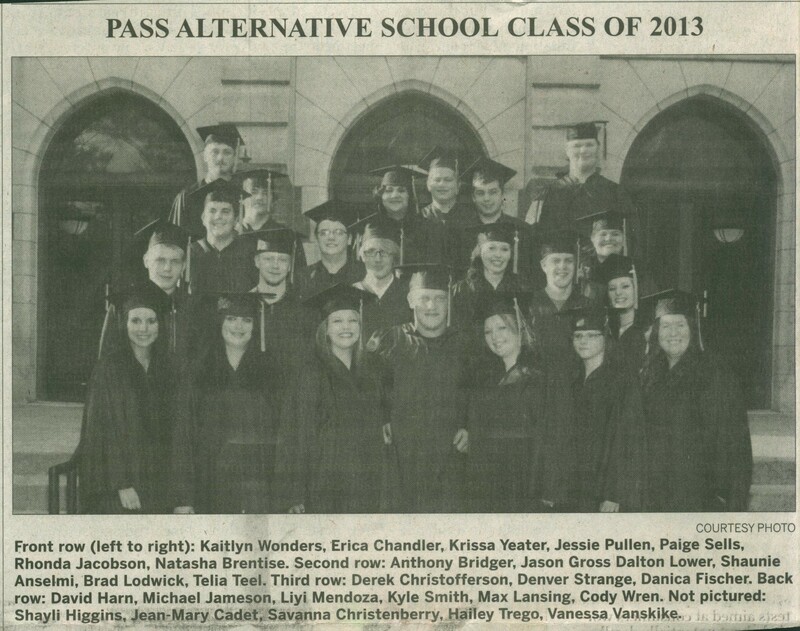 This photograph is the 2013 graduating class from the PASS program, which helped with Rainbow Riders. This is an interview of Karen Angotti, who speaks about a program called the PASS Program and it's importance with Rainbow Riders.